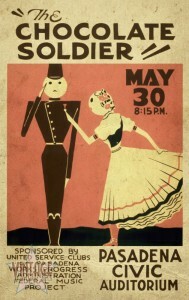 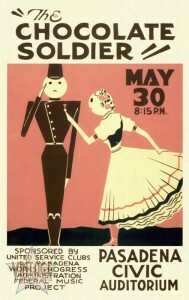 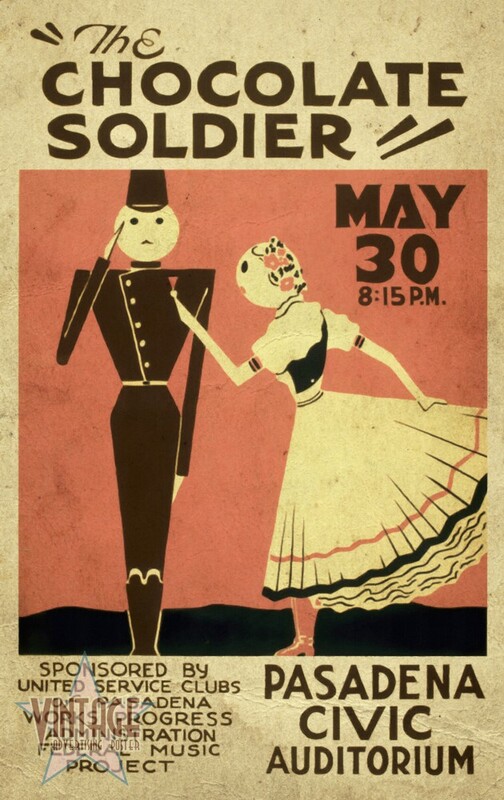 30's poster to advertise Operetta The Chocolate Soldier in Pasadena Civic Auditorium. 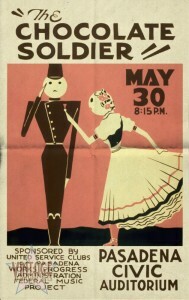 Vintage Poster to Advertise Operetta The Chocolate Soldier in Pasadena Civic Auditorium. 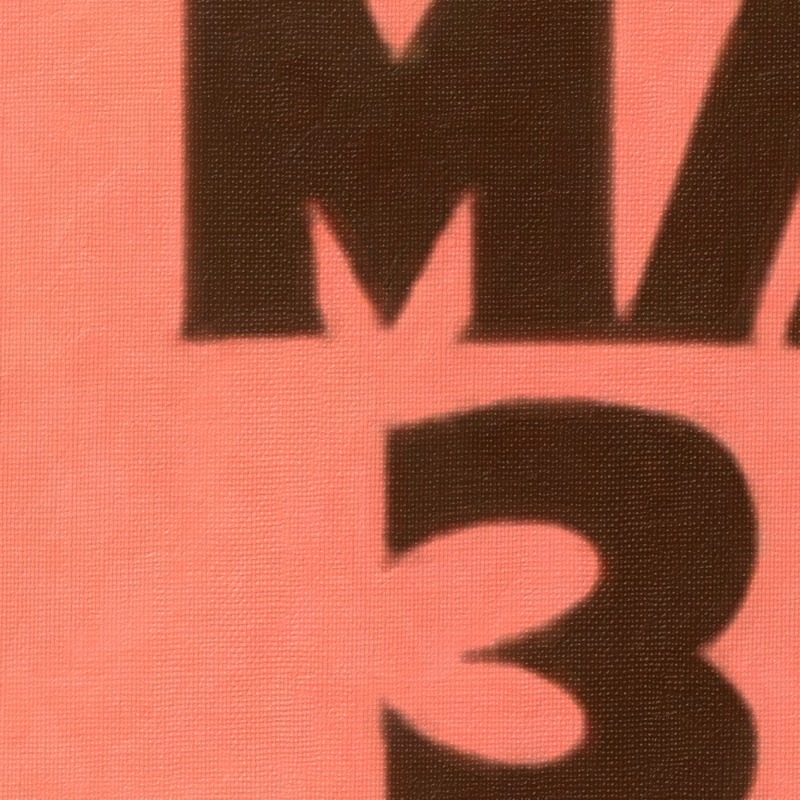 The dpi of the restored file allows digital print at a size much greater than indicated above. 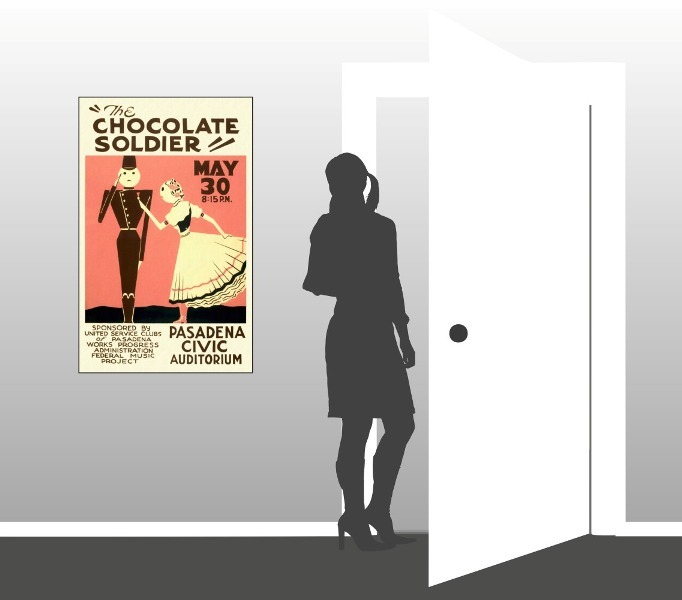 It is usually only necessary between 100dpi and 150dpi for high quality printing, so you could easily print twice their size without loss of quality. The watermark that you see on the posters of our website never be printed on your purchase. 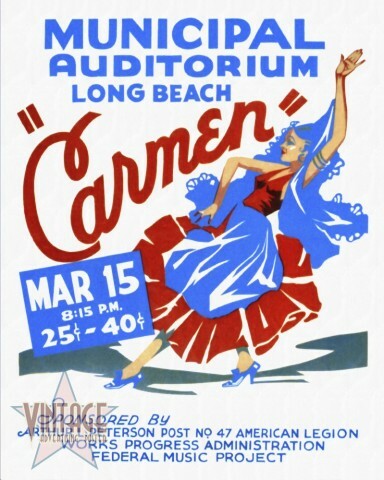 30's poster to advertise Opera Carmen in Municipal Auditorium in Long Beach. 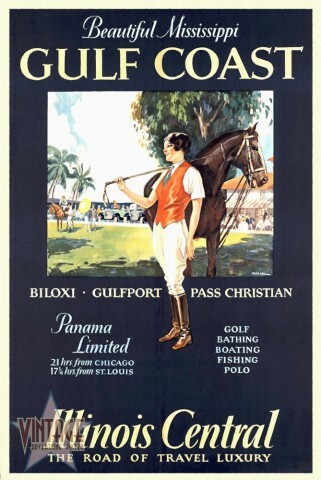 30's poster to advertise Gulf Coast - Illinois Central. 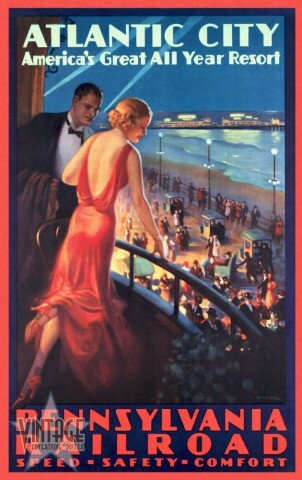 30's poster to advertise Atlantic City tourism and the use of railroad. 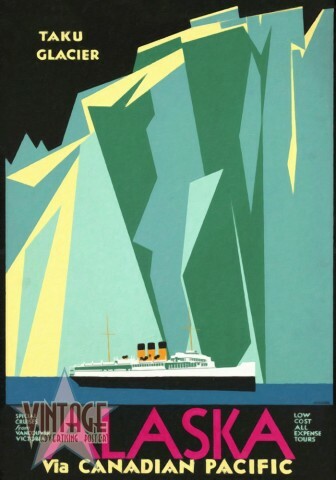 30's poster to advertise a cruise company between Alaska and Canada.